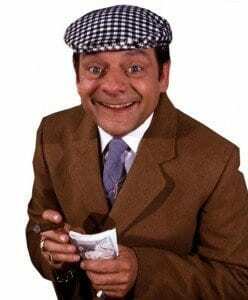 With such poor consumer regulation, underfunded/uninterested police services and weak sentences by our courts, it should be no surprise that the UK is rife with dodgy salesmen willing to go that extra mile to coerce honest homeowners into parting with their cash. An ounce of prevention is worth than a pound of cure, so here is our list. 1) If you are receiving a lot of sales calls, it’s highly likely that you are on a “sucker” list. You can opt out of UK sales calls by signing up the government backed Telephone Preference Service, while it won’t stop all unwanted sales calls it will help to reduce them. 3) Some homeowners suffer from such a relentless barrage of sales calls that changing their telephone number is the only option. It may be an inconvenience, but if you have had the same landline number for a number of years, chances are you could be on hundreds of sales/sucker lists. 4) Never give companies permission to contact you with marketing calls. they may pass on your details to third parties who will only do the same. Always be careful when filling out online forms, pay attention to check boxes and statements about how they use your contact information. 5) Never respond to unwanted text messages from sales people or companies you have never heard of before. Even if you reply with “stop” they will probably just add your number to a sales list. 6) Join your local Neighbourhood Watch scheme or create a new one. These are a great way for neighbours to get chatting about local issues, including gangs of persistent sales people. 7) Put “No Salesmen” stickers on or near your front door. Buy them from Amazon. 8) Never even contemplate agreeing to work from cold callers/doorstop sales people. Just say no and close the door or put the phone down. 10) If they are a ltd company, take a look at their financial situation and do some background checks on the directors. Start here. 11) Find out how much you should expect to pay for this type of work. Check out our example quotes here on QuotationCheck, try Building Sheriff, see the price guides on Which? Also post questions in related web forums (My favourite forum is DIYnot) so others can give you a “ball park” figure. 12) Print off your example quotes from QuotationCheck, Building Sheriff and Which? You can show them to your salesman if you feel his quote is too high. 13) If you are uncomfortable dealing with sales people and are concerned that you may be coerced into a contract then always make sure you have at least one other person with you, preferably more. It doesn’t matter of it’s a friend, a daughter, son or a neighbour. These people can share their thoughts with regards to the product being pitched, they can also raise any concerns about pushy sales tactics. A dodgy sales person might be able to pull the wool over your eyes but it’s less likely to work with 3 or 4 people in the room with you! 14) Be polite but firm. If you want to the person to leave your home then ask them to leave. If they continue with their sales pitch then walk to the front door and open it, ask them to leave immediately. If they try to delay you with paperwork then just tell them to post it to you. Be firm and direct and don’t let them push you around! 15) Do your research and understand your rights to cancellation. Read this article. Don’t drag your feet and waste time, before you know it your chosen company will have finished the work sent you a bill. Act quickly if you want to cancel your contract within your cooling off period. 16) If you want to cancel a contract you have already signed then back this up in writing and send it by recorded delivery. Expect the salesman to fight tooth and nail to get you to change your mind. Be firm and be prepared but don’t back down. 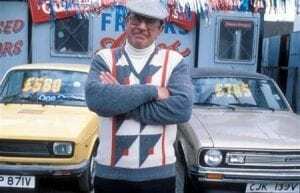 17) Don’t forget your local Trading Standards and Citizens Advice may be able to advise you with regards to pushy salesmen that are ignoring cooling periods etc. 18) Record telephone calls with the company or salesperson. While this may sound drastic, it is actually very easy to do on modern smartphones, just by pressing a few buttons you can record the whole conversation. Don’t forget to warn the salesperson/company that you are recording the call, you can’t submit this as evidence in a court if you don’t inform them you are recording the call, that is entrapment and it’s frowned upon by the courts. 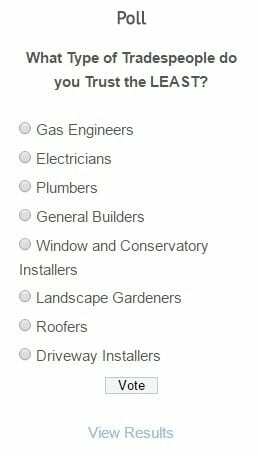 19) Watch programs like BBC’s Watchdog and Rogue Traders, also try Cowboy Builders. Theses shows give an insight into not only dodgy builders but also shady sales people. Bookmark relevant sites like Which and What Price. 20) Keep your friends and family in the loop. Have you ever heard the saying “four eyes are better than two”? Keeping your family and friends informed may reveal surprising results. Loved ones can raise concerns about something you may have missed or they can offer advice. Click HERE to Get a Quote Click here to cancel reply. Find out more about the people behind QuotationCheck. Visit the Meet the Team Page. Quotation Check © 2019. All Rights Reserved.